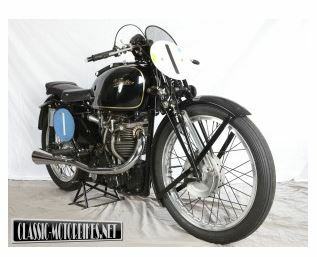 already had a strong and successful race history using its distinctive four-stroke single cylinder engine. 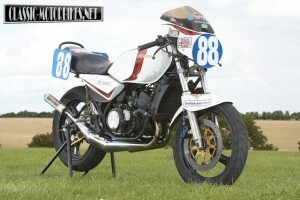 The DFDS Seaways Yamaha Past Masters series is a real blast from the past. 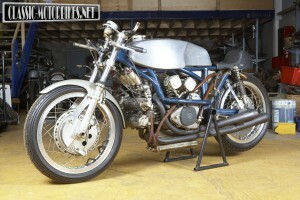 The many bikes on display at shows grab your attention for a whole host of different reasons. It may be their pristine restoration or even a similarity to your own machinery, either past or present. 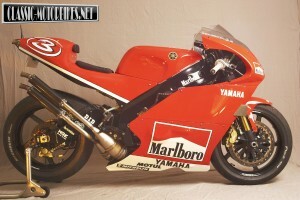 Nigel Kimber’s Grand Prix YZR 500 immediately smacks as something that just should not even be there. Apart from the fact the he wins, not just individual races but championships as well, Richard Insall is not in any way the typical motorcycle racer, he has only a passing interest in the mechanics of the bike and holds an incredible blind faith in other peoples claims for parts that he buys or uses. 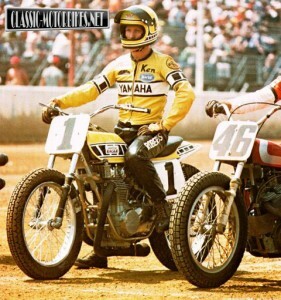 Yet another stunning machine from the collection of Sutton Coldfield’s Alastair McQuaid, the yellow and black Yamaha America painted machine has seen much action on the fierce battlefields that make up the US flat track scene. The Birmingham based Goodman brothers founded the Veloce company in 1905 after their previous company was wound up. 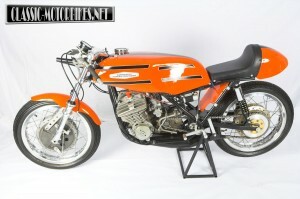 They had already produced a viable two wheeled machine, the 2hp Veloce, so the name was used on the letterhead of the new company, albeit to make cars in the early days. In 1913 a small capacity two-stroke machine was designed and named the Velocette but sales were poor, as motorcycles hadn’t really caught on as a viable means of transport. Standing back at shows, it is strange to see so many people stop and look at a machine that never performed in the UK. 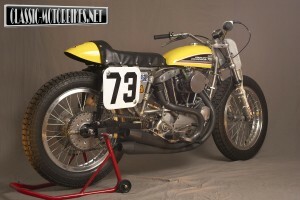 A bike that dominated a sport we know little or nothing about, but the fact is they do indeed pay their respects to the mighty XR750. Known as the Type 860, the design dates back to 1965. First seen as a 350cc racer, the idea came about after a Czech government minister noticed the European GP teams had far more exotic machinery than the CZ factory outfit. Although competitive with all but the might MV fours, CZ used dated single cylinder designs with roots planted firmly in post war machinery. 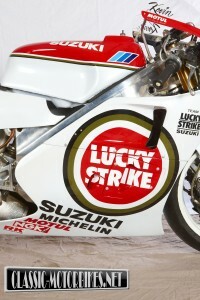 Suzuki enjoyed great mileage out of their first GP 500 machine. The XR14, and its production version the RG500, lived on for some time, its square-four engine layout proving to be competitive well into the 80s. 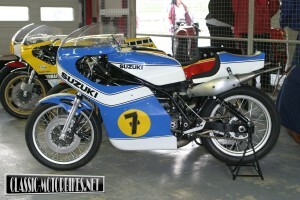 Suzuki had officially withdrawn its factory team in 1983 and with that move so ended the development of the early 70s design. Yamaha revealed its first V-four, the OW61 in 1983, Honda quickly followed suit while Suzuki, effectively unable to develop a new machine, stayed faithful to the square concept, albeit joining the reed valve ranks in 1985 with the XR70.